I wrote this article for The Hollywood Reporter, where it first appeared on June 3, 2016. 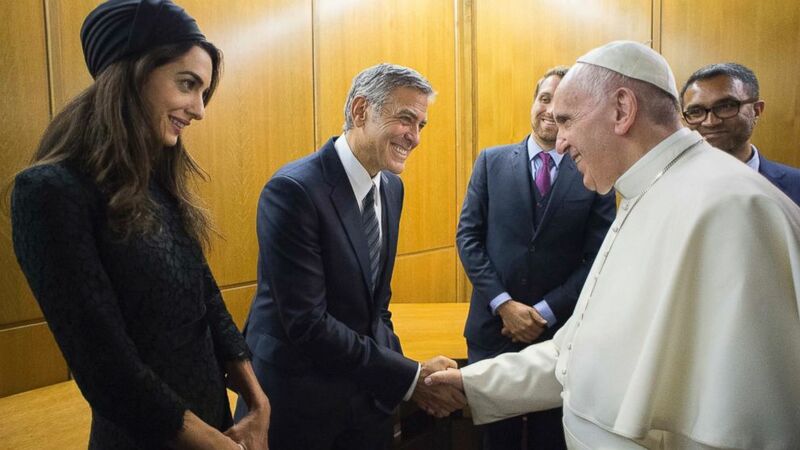 When Amal Clooney and husband George met Pope Francis last week, the couple exuded the elegance we’ve come to expect of them, with George in a dark suit and Amal in an Atelier Versace dress and Jimmy Choo heels. Though the couple nailed their Vatican styling, their visit raised the question — how does one decide what to wear to meet the Pope? “The basic rule is modesty and respect,” says associate professor of theology at the Catholic University of America Chad Pecknold. One aspect of this respect is shown by wearing appropriately formal looks, like a dark suit for men. Looking nice for the Pope doesn’t mean peacocking with funky colors or patterns, according to Rocco Palmo, editor of Catholic news site Whispers in the Loggia. 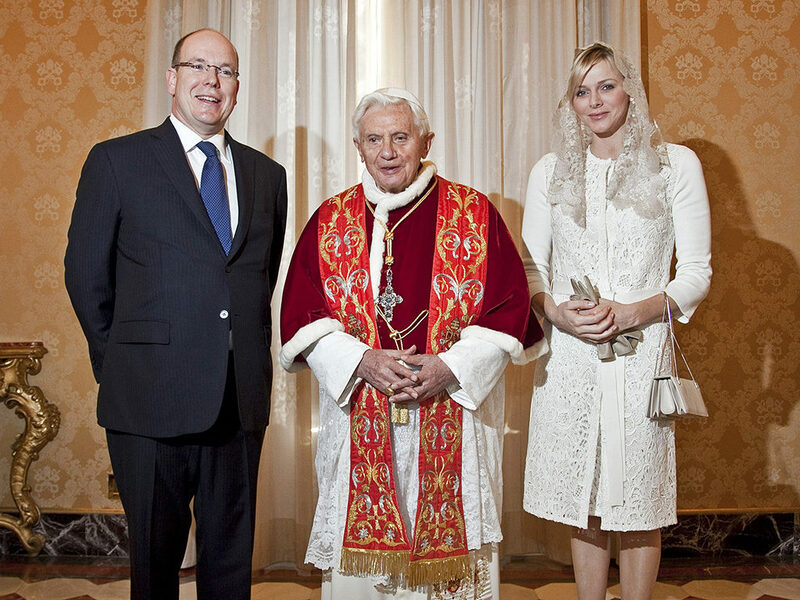 Besides lending an air of appropriate formality, suits for men offer the added benefit of keeping the wearer covered up — another important concern in the Vatican. For women, the right combination of formality and modesty is most commonly achieved by wearing long sleeves and a skirt or dress that’s at least knee-length. Traditionally, this would be accompanied by a lace or silk head covering called a mantilla, as a nod to the centuries-old custom of women keeping their heads covered in worship settings. 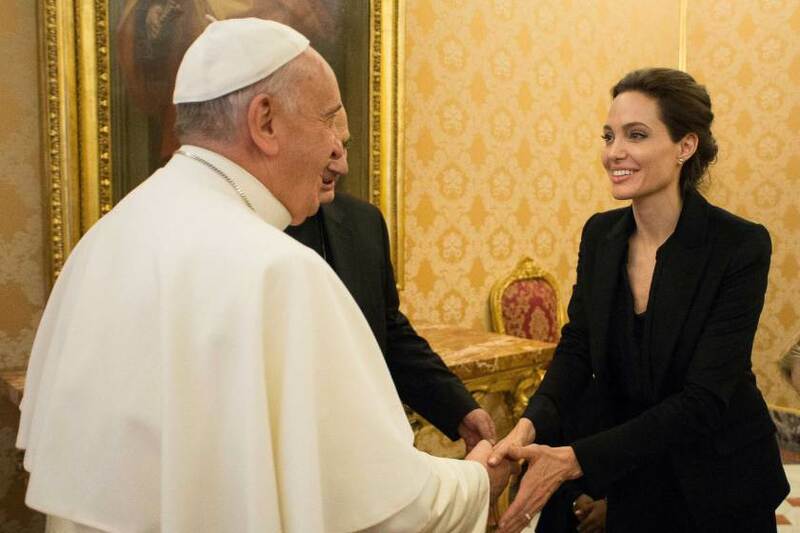 Modern alternatives to the mantilla include wearing a hat, as Amal Clooney did, or foregoing a head covering altogether, as Angelina Jolie did in her 2015 meeting with the Pope. Even though head coverings are no longer required by the papacy, they offer a way to express respect, according to Religion News Service national reporter David Gibson. “That was always the tradition, that women covered their heads and that men uncovered their heads. Even today, you can’t wear a hat into a Catholic church as a layman. You’ll be told to take it off,” he notes. While no footwear guidelines are specified, both men and women would be well advised to wear dressy shoes rather than sneakers or flip-flops. Palmo notes, however, that the cobblestones and numerous grand staircases around the Vatican mean that “stilettos are probably not the best choice” for women. 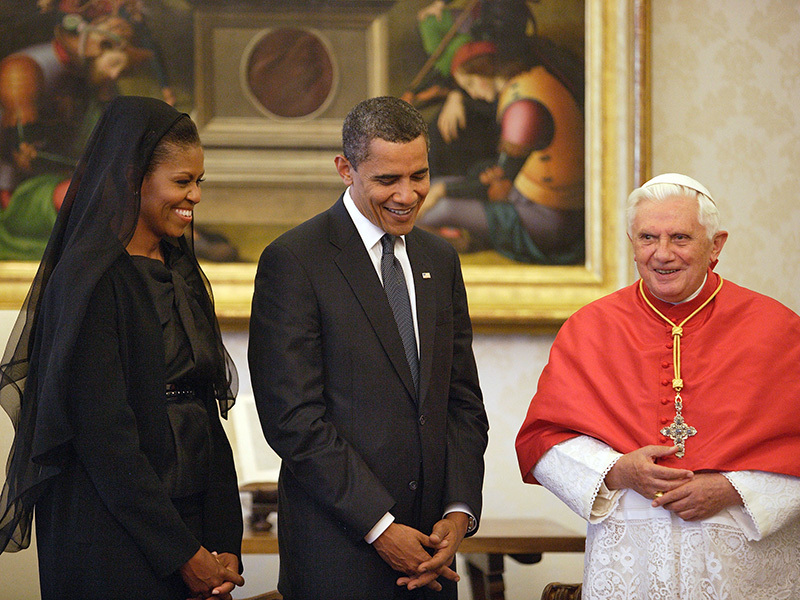 Perhaps the most unexpected norm surrounding papal-appropriate garb is that pertaining to color. Guests are expected to show up in head-to-toe black, as if in mourning garb. “The black was so that no one in the room, even the greatest of the royal ladies, would outshine the Pope,” explains Palmo. The intriguing exception to this rule comes in the form of the privilège du blanc, a tradition that allows for a select handful of Catholic queens or princesses to wear white when visiting the Pope. According to Palmo, this tradition originated as a way to distinguish Catholic royalty from their non-Catholic counterparts during the Reformation. “This tradition was geared specifically toward women, because men — whether kings or other heads of state — would always be in military uniform when attending the Pope,” he says. This exclusive privilege has been exercised by royals like Princess Charlene of Monaco and Queen Paola of Belgium. Transgressing the norms around who gets to wear white in the Pope’s presence, as former U.K. Prime Minister Tony Blair’s wife Cherie Blair did on her visit to Rome in 2006, is a faux pas that some can read as taking too high a view of one’s status. However, both Palmo and Gibson agree that these transgressions seem to be one more vehemently opposed by the Pope’s traditionalist followers than the Holy Father himself. See the original article in The Hollywood Reporter. 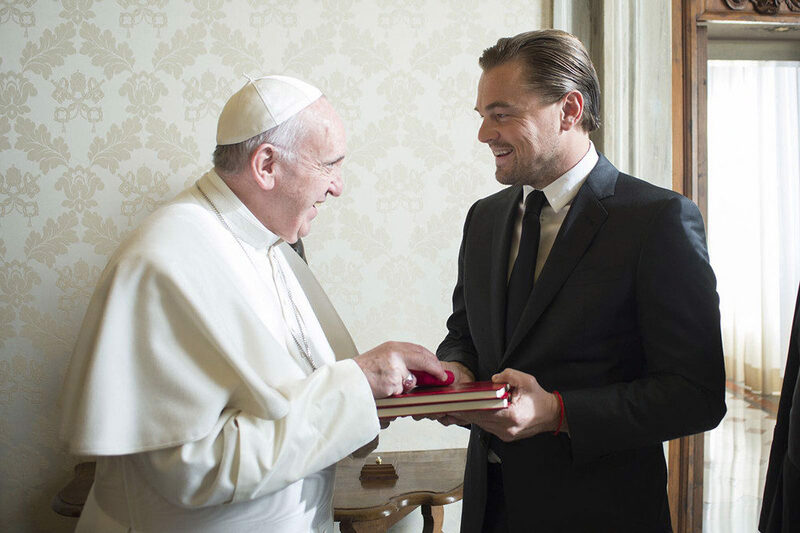 One Response to "Why stars should never wear color to meet the Pope"